When investigating network security incidents, there are two artifacts of malicious activity that require a great deal of research: Suspicious sites and suspicious files. Obviously, the investigator should never directly navigate to potentially malicious sites or open suspicious files--just in case they turn out to be malicious. Thus, one potential solution is to use third party investigative sites on the Internet. But how many resources are there and which ones are the best? We have compiled a list of our favorites and a little context around why we like them. This article will begin the focus on investigating potentially malicious URLs and IP addresses—while the next series will focus on what to do with files and hashes. Part I of Investigating URLs and IP Addresses lays the groundwork by covering policy, unshortening and deobfuscation. All of the techniques may not be new to you, but the sites to analyze them may be. There is also a really fun challenge for the reader at the end that will require them to utilize many of the tools in this article to investigate a URL. Before we cover deobfuscating URLs, we need to talk a little bit about permission and policy. If you are like me, you are thinking "Shoot me now". However, you must make sure that you have written permission stating that you are allowed to query or upload information to a third party site. If done without permission it could cost you your job. But why, what’s the big deal anyway? Do not submit items of a confidential or classified nature to this site. The private option on submissions indicates that it will not be released to the public and will not be made generally available. However, it may be shared with security researchers and trusted individuals whose goal is to improve detection of threats. The privacy of submissions depends upon the user keeping the "Submission Permanent Link" a secret, therefore do not post the link publicly if you want to keep it private. If you need true privacy, you should run jsunpack-n, which is the engine behind jsunpack and it runs locally. Unshorten.it goes above and beyond by providing the unshortened URL, title of the page, a screenshot, and the web of trusts rating. Outstanding! 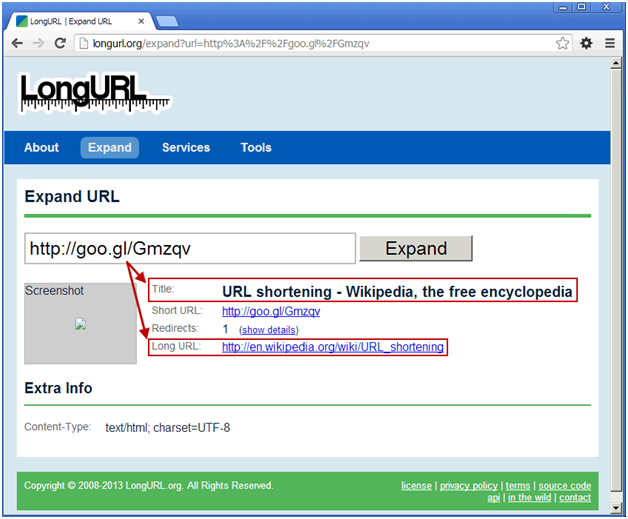 LongURL also provides a screenshot for their unshortened URLs (if they have it), resolves the links and provides a screenshot if it is available. They advertise a pretty large range of shortening services that they can process (340 in total!). Whew!!! All sites were able to unshorten the example URL and their answers were all the same. 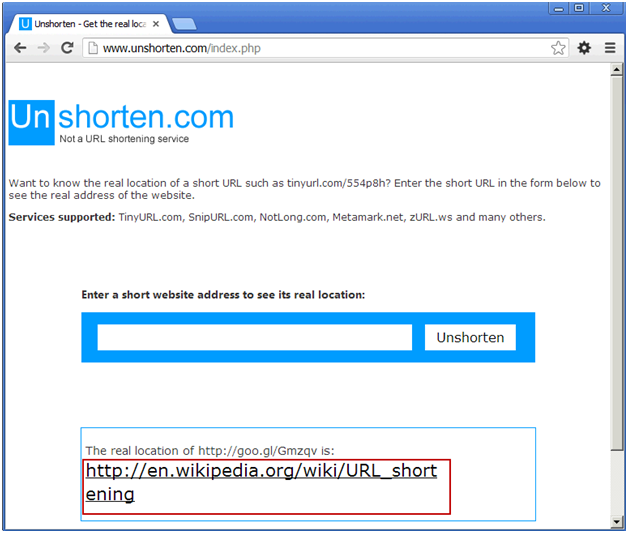 We are fortunate that the link was only a link to the Wikipedia page on URL shortening. However, it could have easily been malicious and thus, we cannot take a chance by directly navigating to the shortened URL. So, maybe you unshortened the URL and it still looks suspicious or scary. This could be due to a number of reasons such as URI tricks or encoding/representation tricks. URL one is something that you would typically see. Nice, simple and easy to understand. 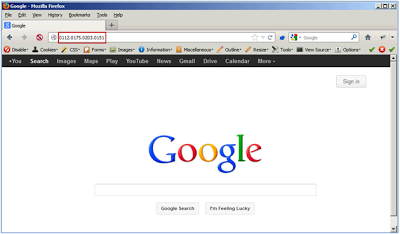 URL three is not a new concept, but it is still used for deception. It illustrates how the flexibility in URI components could be potentially misused in order to confuse unsuspecting users. At first glance, it appears that we will be navigating to bank.com. Whew! No problem, we are a member of bank.com and that is normal. However, upon closer inspection (remembering the URL format), the username is www.bank.com with a password of login.html. The real request is going to phisher.cn! The key take-away here is that anything between the http:// and the @ symbol may be irrelevant to navigation and can be used to trick the user. 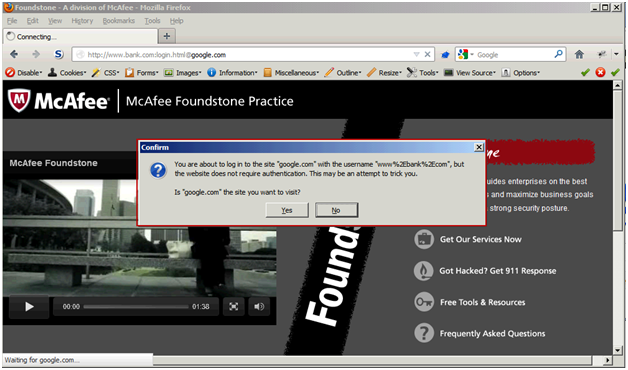 Chrome understood the URL and correctly sent us to Google per URI RFCs—but maybe a little too willing to do so. Read on for other behaviors. But why? Does IE not know how to handle authentication in the URL? According to a Microsoft support article, this is expected behavior as this feature was available in IE v3.0 – v6.0, but has been disabled by default in all other versions due to the potential to trick a user with it—exactly what we are discussing here. In my opinion Firefox handled the situation the best. 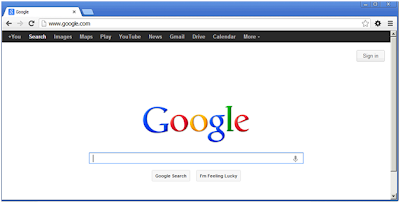 It understood how to process the URL, however it warned the user that they are visiting google.com and that the URL might be a trick. Then it prompted the user to confirm their intentions. If you understood all of the above URL scenarios without any help—you did great! Especially since there don’t seem to be too many tools out there that will dissect the URL (more on this later). To add to the issue, obfuscation gets even more challenging to reverse when combined with various forms of legitimate, but alternative representations. Either one works just fine. Make sure you have a leading zero on the digits as this conveys octal format. Any number of zeros can be used. Separate the numbers with a dot. For hex and octal conversions you will be able to easily reverse the math to get back to the IP address. However, if you are wondering how to reverse the DWORD, here is a quick trick. Take the DWORD address and copy and paste that value as a decimal in Microsoft’s calculator using programmer mode. Then click the radio button to convert the value to hex, you will then get: 4A7D8369 which should look similar to your Hex conversion above. 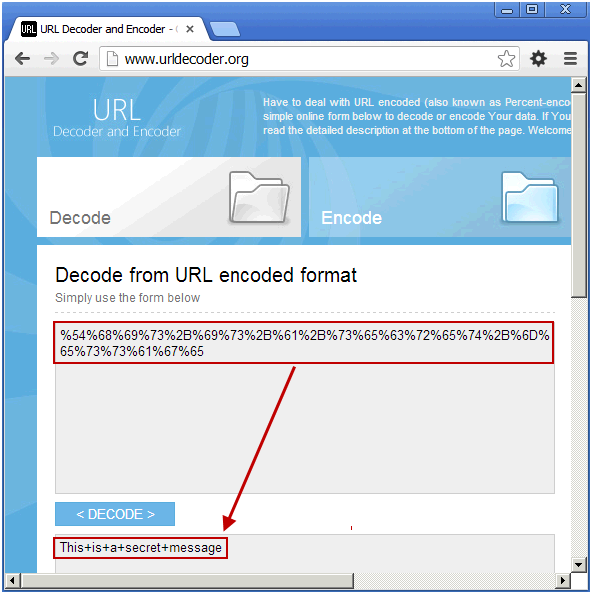 This example has a password that utilizes percent-encoding (aka URL/URI encoding) as part of the FTP password (an email address). Characters can be encoded by using a percent sign followed by their equivalent hex value. The ‘@’ character is represented by the hex value of 0x40—thus %40 in a URI will be converted by the application to the ‘@’ character. 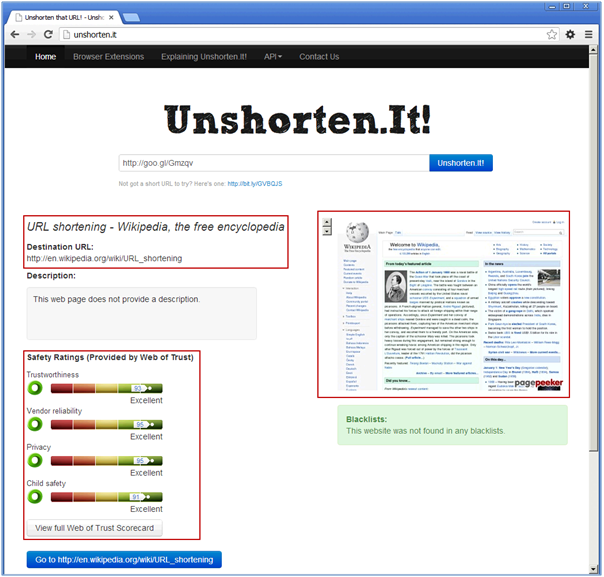 This same technique can be used in URLs to confuse the user and hide intention. Now that you understand how IP obfuscation and character encoding works, feel free to use a character encoding and IP obfuscation calculator provided by RSnake to create your own links. So the examples above are intended to be easy for demonstration purposes—but how about something harder? This example is using the same tricks outlined above, but we are combining them to make the URL look more interesting. These can still be done by hand, but can be time consuming. 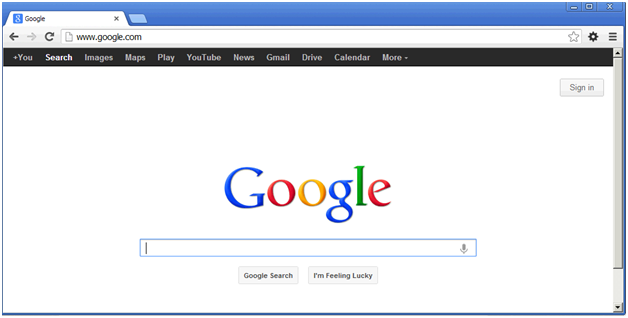 Luckily, there are some third-party sites that will help you figure out what the URL is doing. Some are more advanced than others. 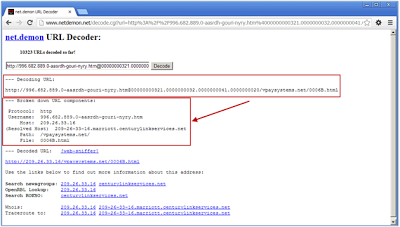 Netdemon definitely takes top honors in terms of decoding and breaking down a malicious URL. You can see in the example below, it was able to pick out the username, path, and file, as well as reverse the IP address. We have even seen it detect and report redirecting which is pretty impressive. Most tools are limited to just percent decoding when this goes above and beyond. I like this encoder/decoder because it is simple and fast. The only downside is that it does not do very complex evaluations. It only encodes and decodes based on percent encoding/decoding. 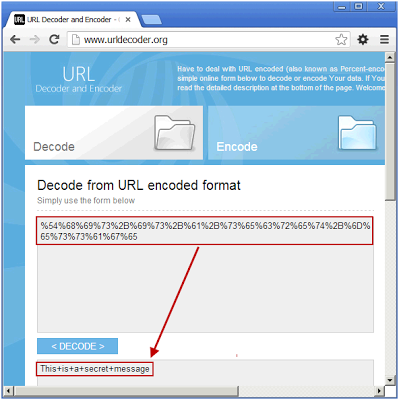 In order to attribute a URL to an attacker, occasionally you must first understand how it is encoded and obfuscated. Hopefully this quick refresher has helped you to brush up on your obfuscation knowledge so you are now more proficient at deobfuscation. Additionally, we mentioned a handful of sites that can be very helpful when quickly processing a bunch of links. We understand that this is not an all-encompassing list and would love to hear about your favorite sites. Stay tuned for the rest of “Investigating URLs and IP Addresses” where we will cover the remaining topics including WHOIS, GeoIP, IP to URL, Reputation and evaluating content. That said… we leave you with this challenge. hey good post man. love your stuff.. learning a lot. just quick question on "URL Encoding" I understand that %40 = '@' but in your graph of special characters the '%' is not there.. Thank you :) We appreciate the feedback and are glad you are learning a lot. We definitely enjoy writing about what interests us. You are very perceptive and your question is thought provoking because the % sign is a bit of an anomaly. Let's go back to the RFC, shall we? Check it out: http://tools.ietf.org/html/rfc3986#section-2.2 -- no % sign. However, if you go down to section 2.4 you will see the following: "Because the percent ("%") character serves as the indicator for percent-encoded octets, it must be percent-encoded as "%25" for that octet to be used as data within a URI." So technically speaking, per the RFC, it is not reserved--thus not in my list. I guess we should call it an "indicator"? % is %25 when URL encoded. Spot on--thanks for your answer. Or you could, you know..
echo "URL number $count: $URL"
Thanks for the suggestion. :) Your turn. (By the way, for all other readers... only use this after you have reversed it on your own.) Or feel free to improve it! playing devils advocate - but what if the shortened url targets a vuln in curl :) long shot.. but just sayin..
Our pleasure :) Thanks for taking the time to provide the feedback. Oh man! Lucky... Although, I am surprised you did not get headphones so you could jam out. All the dancing in that song exhausts me just watching it. Next week, we will show you how you can vary the link to trick your friends and family. Thank you very much for your guides. This blog is one of the best on the net within this area. We are honored. Thanks for the kind words. It is really gratifying to hear that. Thanks everyone for all the awesome comments!! learned alot in a short 5 minutes. 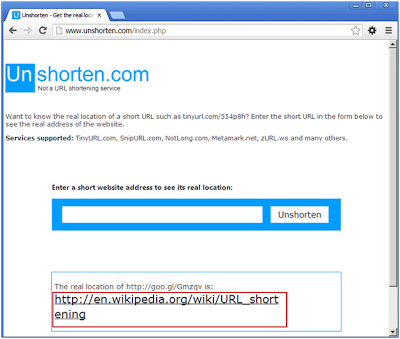 Regarding URL shorteners, it seems to me that I cannot trust external websites NOT to contact the unshortened URL. It might even tip off the owner of the destination URL. As you mentioned, there is no expectation of privacy when utilizing a third party site. I'd advise querying the URL shortening address without following the HTTP 302 (redirect) address. 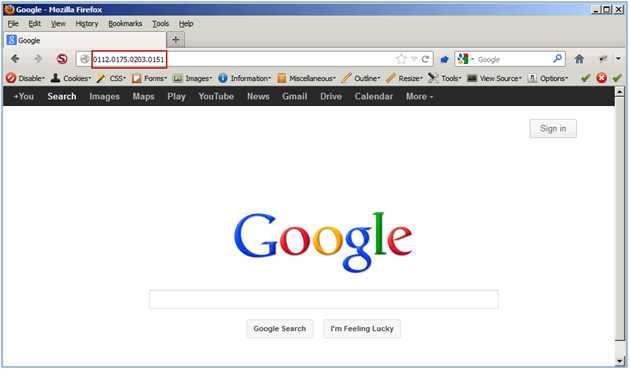 It can be done using wget --max-redirect=0 SHORTENED-URL. Some shortening services do play nice - add a '+' to a goo.gl shortened URL to see the destination URL, and stats about users clicking the link.